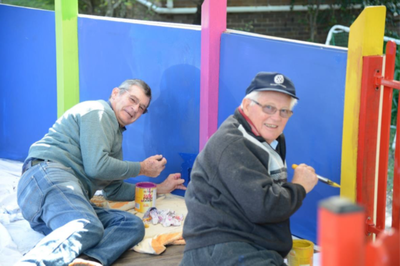 Through the Avenue of Community Service - Rotarians give back to the communities they live in. 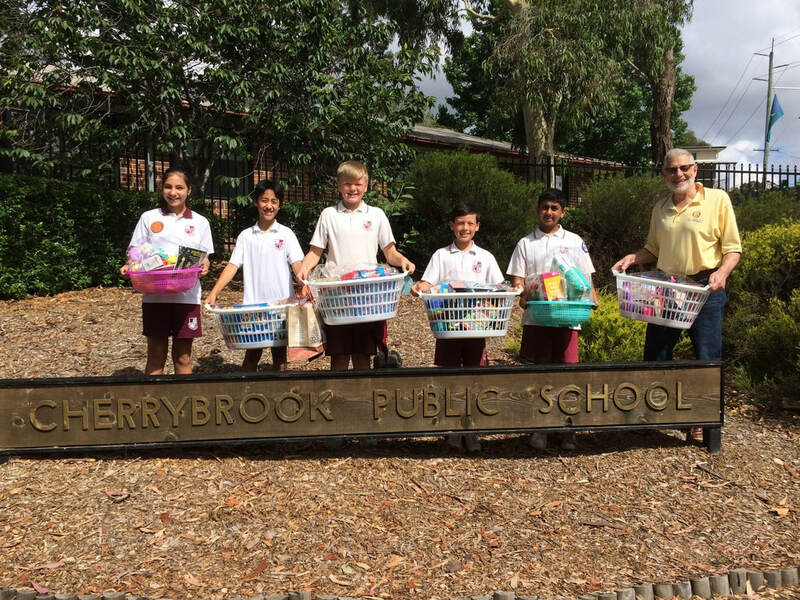 Each year our Club arranges a Tree-of-Joy in the Cherrybrook Shopping Centre. 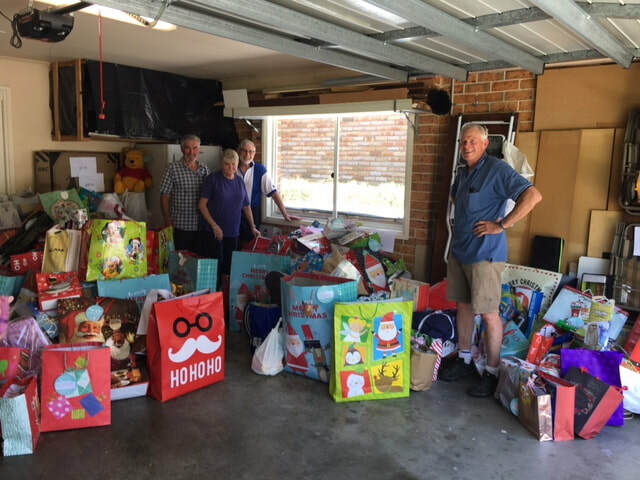 This involves canvassing a number of organisations to secure anonymous cards generally describing specific under-privileged people and the type of Christmas gift that might brighten their lives a little. 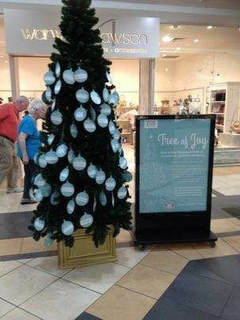 The cards are placed on a Christmas tree located in the shopping centre. Generous shoppers remove cards and purchase a gift for that person prior to returning the gift to the tree. Our members collect, sort and distribute the gifts with up to 1000, conservatively valued at $30,000, being distributed each year. Ronald McDonald House, Westmead provides a warm, welcoming home away from home for seriously ill children and their families travelling to Westmead Children's Hospital for treatment. Our Club was the first service club to provide cooked meals for these families. We were familiar with the older house that held 18 rooms and 5 units. RMH has now a new facility that provides 60 rooms for families both large and small. This year we attended two nights to participate in Meals from the Heart. The Mirvac team - Jessica pleas pass this on to your team. A group from the Club, together with a Rotoractor from Castle Hill and an employee of Bunnings painted a room at Taldumande - a youth refuge in Pennant Hills - on 12th and 17th August. The church has been very kind to allow the club to hold its annual Book Fair in the hall adjacent to the car park. In order for us to prevent double handling of the books in collaboration with the church we agreed to the laying of the pavers and the shelves. This was hands on project and most of the club members rallied around it. A big thank you to Colin Sharpe for making of the shelves. Thanks to Rosemary Clarke the club was made aware that 3 worthy students from the above school were looking for financial assistance to assist them in enrolling for National Sports Athletics in Canberra‏ in early December. The board unanimously approved $600. The school Principal attended one of the club meetings in February and personally thanked the club. Again, thanks to Rosemary the club was made aware that the above school was looking for assistance to complete their vegetable garden project. 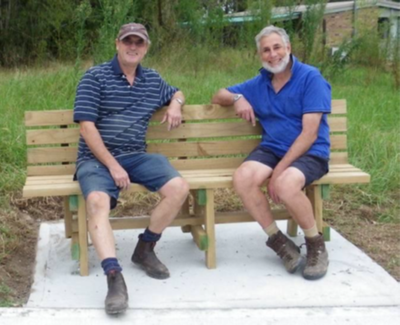 Thanks to Tony Coote for taking the initiative and talking to the principal and obtaining drawings. 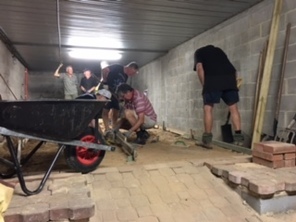 Thanks to our Rotarians who volunteered their time and muscle power the project came to fruition and the school students were very excited about their new project. The school has sent a thank you letter to the club. 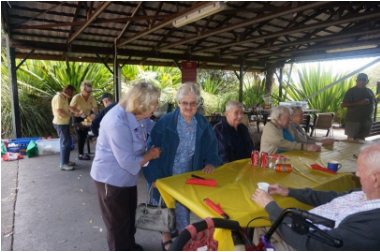 Our members and their partners take residents from the ARV Flinders Village on an annual picnic. This is usually in a park area around Sydney. Our members provide a barbecue style meal and sweets whilst socialising with the Anglicare residents. 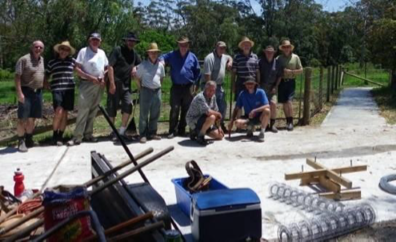 Pictured are some of the participants at a recent outing held at Kokoda Track Memorial – Concord West. 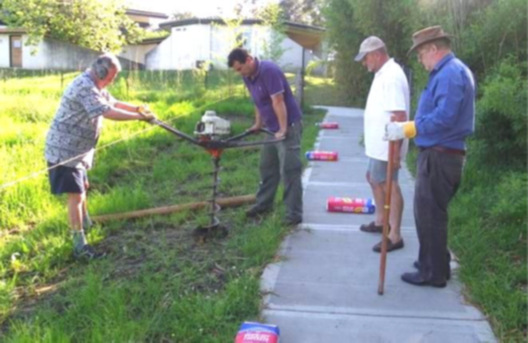 These outings provide the residents, many who have no family contact, with a welcome outing and social interaction . 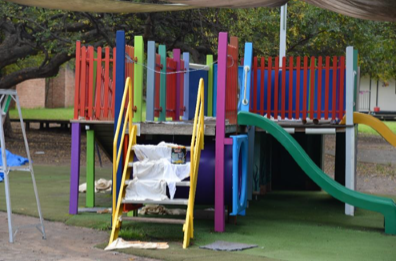 RMH is located in the grounds of Westmead Children’s Hospital. The house has 18 rooms and a further 5 units in a nearby street. The facility caters for sick children and their families that normally reside over 100 kms from the hospital. 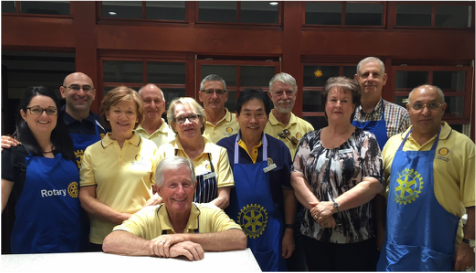 On a Friday afternoon in May, 2016 a group of Club members proceeded to cook a meal (roast beef and vegies) for the residents. We catered for 80. Nearer the meal time other members arrived bearing salads and desserts. After the residents had had their fill the leftovers were packaged into plastic containers for those residents unable to attend. This is a much needed diversion for patients and their family members at a time of duress . The Rotary Walk at Warrah comprised a 175 metre long concrete path and driveway constructed and donated by Abergeldie, 150m of fencing and a gateway constructed by our Club members and, two park benches and supporting slabs, also constructed by our members. This was finished off by the fitting of two shade umbrellas donated by Tom Westcott. All up, this project is valued at $30,000 and showed what can be achieved by our Club through active interaction with the recipient organisation, good advanced planning and active support from the corporate world. The Club is currently project planning a further project at Warrah involving the upgrade of a 50m strip of an entry road. Initial cost estimate is $20,000 . As can be seen from the photo the end result is a job well done! 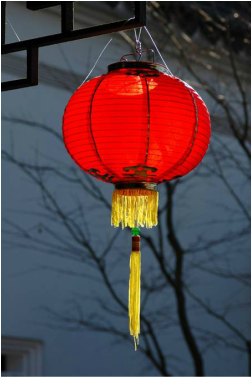 The Cherrybrook Chinese Community Association holds a Lantern Festival at Greenway Park. 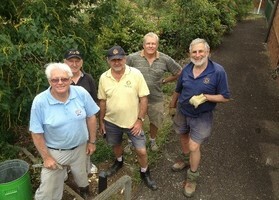 Our Club were part of the 200 plus volunteers that assisted the CCCA in holding one of their major events. We supplied Western food - sausage sandwiches and hamburgers - to those that needed a supplement to the delightful Eastern foods. The programme of this event was divided into 3 main categories, performance, games, and fine food. The participants stayed for the whole night because of the western and Chinese relaxing musical individual and group performance. Other attractions of the performance were the captivating magic shows, dances and singing. The younger generation of the participants was not forgotten. They had lanterns and games stalls to enjoy themselves. There were crowds around the food stalls the whole night. Obviously, the yummy food sold at reasonable price was the only reason for the crowds. The Lantern Night concluded with a fantastic firework display. Estimates of those that attended exceed 4,000.